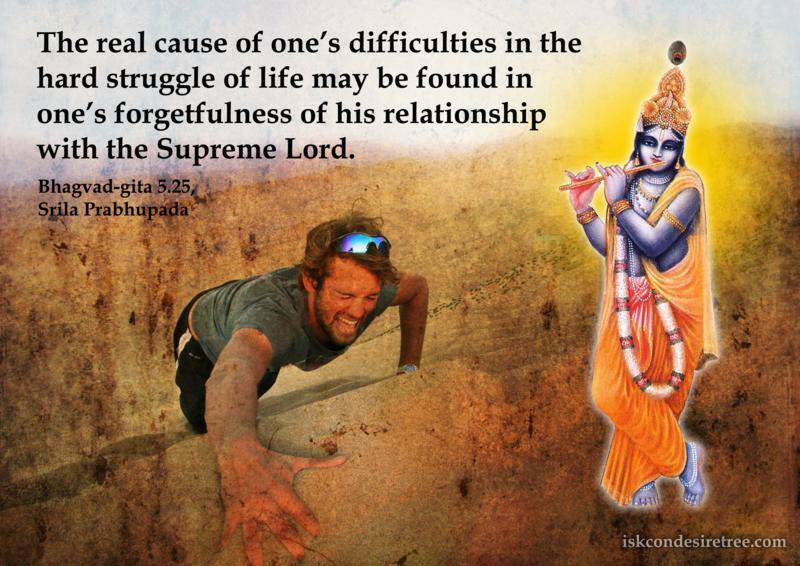 The real cause of one’s difficulties in the hard struggle of life may be found in one’s forgetfulness of his relationship with the Supreme Lord. Difficulties deepen our realization & purifies our heart so that we serve Srila Prabhupada in a better way. In this material world, it is so easy to do wrong thing but it is so difficult to do right thing. Due to forgetfulness of Krishna,all problems of the world are coming about. The Basis of all difficulties: lust, anger, envy, pride, greed & illusion. Difficulties coming from Karma will give us samskaras which will further impel us to perform sinful acts, but difficulties coming from Krishna will purify us.